Five important things the Synod on the Family accomplished. 1. Opened up the conversation. The Synod of Bishops in its current form was created by Pope Paul VI in 1965. Since then, however, some synod meetings have seemed rather scripted. By their own admission, some bishops refrained from saying anything that might contradict the status quo, or possibly offend the Pope. But at the beginning of this two-year process, Pope Francis encouraged all participants to speak freely: "Let no one say, 'This cannot be said.'" And they did speak freely. Conversation was open, lively, and sometimes contentious. That’s all to the good. We shouldn’t be afraid of discussion or even debate. The Holy Spirit thrives on openness. 2. Restored the Synod to its proper place. As a result of this openness, something wonderful happened. 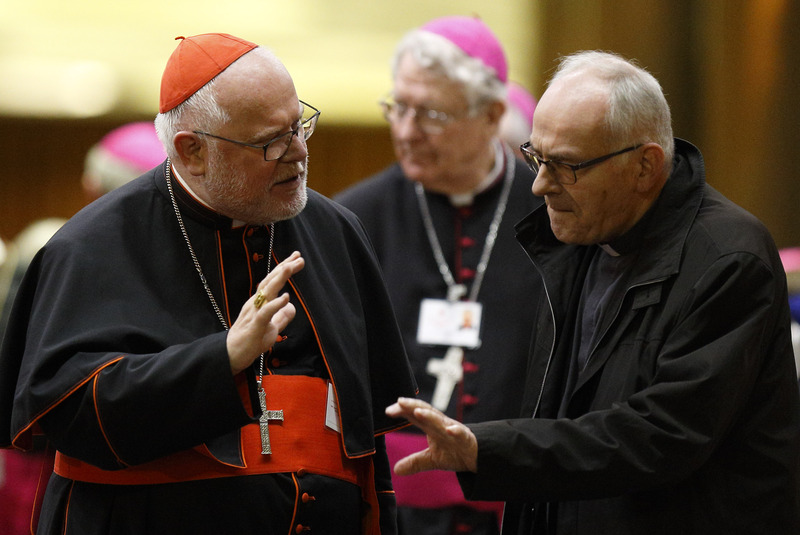 The Synod of Bishops finally assumed it proper place in the post-Vatican II church. Pope Francis helped to move the church towards “synodality.” In that style of governance, the pope makes the final decisions, but the laity and clergy, under the leadership of the bishops, debate important matters and reach decisions regarding them, in order to help the pope. That’s a big step forward. It reminds us that the church is not only a teaching church, but a listening church. 3. Discussed issues related to the family. The Synod on the Family did not change church doctrine. But it fostered open discussions on many topics regarding families around the world. Much attention in the West centered on two issues: first, the reception of Communion by divorced and remarried Catholics; and second, the pastoral care of LGBT Catholics. On the first issue, the synod didn’t change doctrine, but it highlighted the use of the “internal forum,” a traditional practice that involves understanding church teaching, meeting with a priest, praying over an issue and consulting your conscience before you make a decision. Again, not a change in teaching, but an encouragement of a possible avenue for reconciliation, and a gesture of welcome to divorced and remarried Catholics. On LGBT issues, again the synod changed no doctrine, but it reminded Catholics of the need to respect the human dignity of LBGT people and, also, to have special care for families with LGBT members. That may not sound like much of a change, but it challenges Catholics in countries where respect and care for LGBT people are not as common. 4. Reminded us to discern and accompany. Two words in the Synod’s final document appeared several times: discernment and accompaniment. Discernment is the practice of making a decisions in a prayerful way, which takes into consideration not only the Gospels and church teaching, but also the way that God works through all of us, individually. We reflect on what insights and impulses may be coming from God, and which may not be. In discernment, we use both our heads and our hearts. The synod reminded us of the need for discernment, especially when it comes to complex matters regarding family life. It also reminded us that we needed to accompany people. Not simply to repeat church teaching to them, or to scold them; but to get to know them, to be with them, to listen to them. To accompany them. 5. Let the pope speak to the church. The synod participants spoke frequently. They spoke to one another. They spoke at the daily press briefings. They even tweeted and blogged about their experiences. But there was someone else who spoke: Pope Francis. In his closing talk, for example, he reminded the bishops never to close themselves off from anyone, and that those who truly follow church teaching are not those focused on the letter of the law, but the spirit. People matter more than ideas, he said. He’s warning us against legalism, as Jesus did. But Pope Francis will have another chance to talk to the church. Because the synod asked the pope to write his own document about the family. At some point, then, we’ll see what the pope has to say. He may simply sum up what the synod says, or maybe go farther. Who knows? Only the Holy Spirit. So keep praying! Thank you, Pope Francis! Opening up the conversation is a huge step forward. But we aren't supposed to talk about women being priests. But we can talk and should, about women deacons. This is not a closed issue. I can't help feeling that the idea of women deacons is a kind of sop that is supposed to satisfy women in place of being priests. There really is not substitute for the recognition that God calls women as well as men to be priests. The current structure of the church does not permit for the insights and understandings of the feminine to impact either governance or definition and development of doctrine. Thus ithe Catholic church is closisng the door on God, God who made them male AND female in God's image. Having women deacons will not change this. Yes, deacons can "speak in church", unlike women,, but they too are limited in terms of impact on governance policies and definition of doctrine. They too serve at the pleasure of the all-male celibate priesthood, "allowed" to do only those things priests "allow" them to do. Deacons are "allowed" to do a bit more than any woman - give a homily, witness a marriage etc, but they cannot impact governance structures nor the definition of teachings. Only priests who have climbed the career ladder can do those things. It is a mistake to push for women deacons in lieu of pushing the men to understand that the church is hurt by keeping women out of all positions of authority, and out of the process leading to the definition and development of doctrine. The damage to the church is ongoing, perpetuated by patriarchy and sometimes by misogny. To become a truly healthy church in the wholistic sense, it must embrace all, incorporate all into the governance structures and into the teaching magisterium - women, the laity in general. Dropping mandatory celibacy would also move the church towards a better understanding of real marriage in the real world, a better understanding of real families in the real world. In effect this Synod advanced just a bit the Pope's desire for a more pastoral tone to how the bishops teach and train their clergy. I doubt that it has had any effect on conservative bishops who will, at least in the USA, continue their political aggressiveness, alliance with the anti-poor Republican party, and culture warrior behavior. They just might, however, be more reluctant to go after fellow bishops who do not join them in the culture wars. The synod will have no effect in Africa. While it has been entertaining to watch, I have my doubts that the synodal process is generating much good. So much talk and text over the last few weeks. Ironically for a pope who emphasizes the plight of the poor, there seemed to be an inordinate preoccupation with the problems of the affluent nations and far less focus on the problems of the poorer nations. To be consistent with his endorsement of "synodality", Pope Francis will be more constrained to follow the final document, which is fine by me, but I wonder how exactly he needed such a document. And all those clamoring for change want only change in others' views, not their own. The good news for me is the synod remained faithful to the Good News. The doctrine in the Catechism remains intact (which should be a low bar for a meeting of faithful Catholic bishops). Regarding those Bishops who opposed Francis at the Synod, he has the numbers in his favor. Francis not only "holds the cards," he is the "House." Francis has appointed 32 Cardinals since February 22, 2014 or about 16 Cardinals a year. 18 of them are younger than 70, and 26 are younger than 80. Francis need only appoint 35 more Cardinals younger than 80 to have appointed 61 Cardinals younger than 80, and he will have appointed a majority of the 120 Cardinals younger than 80 who shall elect his successor. It is probable that Francis will reach that number over the next 3 years because 46 current Cardinals are over 85, and 22 of those are over 90. The probability that some of these Cardinals sadly may die over the next few years is relatively high, and Francis shall appoint their successors. Francis may also create new Cardinals in places where none existed because he already has done this 5 times. Francis also has been and shall continue to appoint Progressive Bishops and Archbishops [as he just did with Fr. Zuppi in Bologna and Fr. Lorefice in Palermo], some of whom he shall elevate to Cardinals. Finally, if Francis is Pope another 5 years, then 46 of the current Cardinals, who were NOT appointed by Francis, shall be over 80 and unable to vote for a new Pope in 5 years. In 5 years, only 44 of the current Cardinals, who were NOT appointed by Francis, shall be younger than 80 and still be able to vote for Francis' successor; and many of them are Progressive because they voted for Francis as Pope. Therefore, Francis' successor shall be as Progressive as, or more Progressive than, Francis. It is written in the numbers. Francis not only "playa the game," he also chooses who "playa the game" of his successor. Francis not only "playa the game," he decides who "playa the game" after him. Pope Francis is far more humble and faithful to Church teaching than many of his progressive admirers seem to realize. In the plane leaving the USA, he said "I don’t know if I had success or not. But I am afraid of myself. Why am I afraid of myself? I always feel – I don’t know – weak in the sense of not having power and also power is a fleeting thing, here today, gone tomorrow." I think he has a strong sense of the duties of his office and his desire to do only what the Lord wants. Progressives made similar predictions about bishop appointments after VCII regarding Pope Paul VI (who shared the present pope's concern for the devil sowing confusion and discord in the Church). But, faithful Catholics should not be concerned at all. We believe that the Holy Spirit has been, is and will be protecting the Church from falling into error, all these worldly calculations mean very little. For the sake of a healthy balance, I hope that Pope Francis equally appoints progressives, moderates, and traditionalists bishops. I do not know for sure what Pope Francis personal thoughts are, but 'America Magazine' seems to imply that Francis views traditionalists as being intellectually closed to present-day realities....which I do not believe that Pope Francis would have such a blanket bias of conservatives. Truth as Jesus gave us witness to, was not just about Love and Mercy but was also about picking up your cross and warning us about the erroneous ways of the world which can lead to Hell. Certainly Hell is not a popular topic, yet I wonder if all the talk of Mercy and Love are glossing over the reality of Hell.